Thrive Penobscot needs your help! 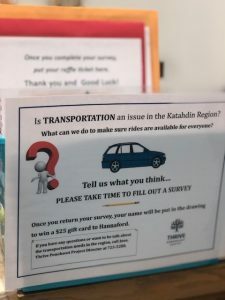 We are conducting a Transportation Survey to find out how we can improve the transportation options for people in the Katahdin Region. 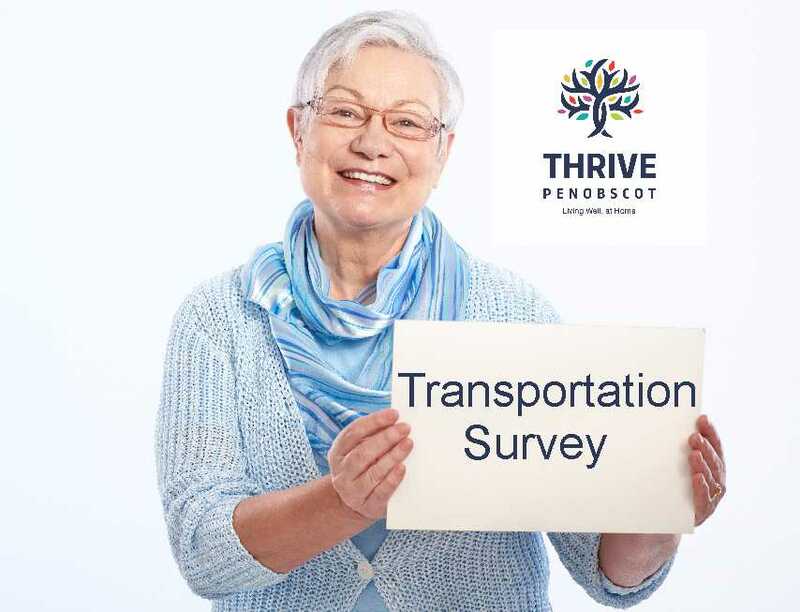 There are two ways you can take the survey, either on-line at the link below -or by filling out a paper survey that can be found in various community locations. 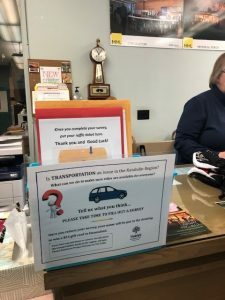 Look for the survey at the following locations: Millinocket Town Office ,the MRH Primary and Family Medicine offices, MRH Walk- In Clinic in East, and at Katahdin Valley Health Center ( KVHC )in Millinocket, Millinocket Memorial Library, Medway Town Office, East Millinocket Town Office, St. Martin’s Thrift Store, EAAA Community Café and MRH’s LIFEstyle Fitness Center at WBMC. We will have more locations available soon! Folks who complete the survey will be entered to win a $25 Hannaford Gift Card. The survey will be available throughout the month of April. Your feedback is important to us. Thank you! To take the survey online, please use this link.